1. MADHUSUDAN INDUSTRIES LTD is a 5 rupee face value food products company. Specially trading in edible oils. 5. When MADHUSUDAN INDUSTRIES LTD profit is turn around I think price of this share may double or triple from here. 6. 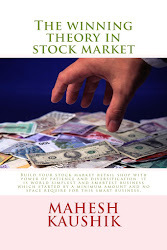 I have no any share of MADHUSUDAN INDUSTRIES LTD but plan to buy 664 shares so my personal interest is there. the traded volume is 0.Do you suggest to enter this script as this is very bad in terms of volume trading.